William Way LGBT Community Center Gallery, Philadelphia, Pennsylvania. Description: Trans|Post is an open call postcard exhibition for all who identify as transgender, intersex, innersex, genderqueer, nonconforming or gender gifted to submit handmade postcards for the show Trans | Post at the William Way Community Center Gallery, Philadelphia. The aim is to highlight the art and opinions of a diverse range of artists, activists, educators, and community members. 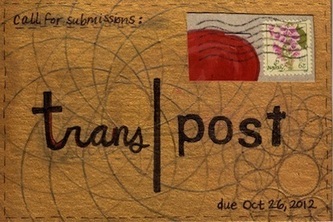 We want to see community member's artwork, thoughts, political opinions, families, dreams. 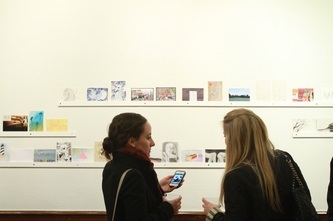 The postcards do not need to be identity focused- "If you are an artist, please feel free to submit a postcard that reflects your current artwork, if you are an activist, a postcard about political issues is perfect, etc. This show is an open call. If you mail it by October 26th, 2012 we will hang it." This project is now in it's third annual year at William Way Community Center. 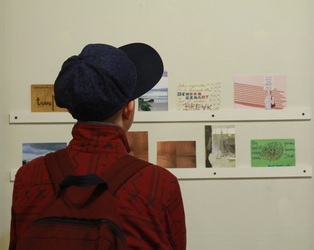 The growing collection of postcards are housed in the John J. Wilcox, Jr. Archives, which is one of the most extensive collection of rare books, periodicals, video and audio tapes, periodicals, personal correspondence, and other ephemera documenting the rich history of the LGBTQ community. A sibling offshoot and exchange was recently exhibited at MU in the Netherlands. Check in with William Way Community Center for more information in October, the exhibition is installed in November.